Activision has today revealed that they are to release Cabela’s Survival: Shadows of Katmai later this year, allowing players to encounter the Arctic’s deadliest creatures in an epic struggle for survival. You’ll witness the drama unfold as players assume the role of bush pilot Logan James after he survives a horrific plan crash that leaves him fending for survival in a remote corner of the Alaskan high country. Injured, isolated and in the middle of a hostile wilderness, Logan finds himself cut off from all hope of rescue and it is therefore down to the player to guide him to safety as he battles against deadly predators and the forces of nature. In order to stay alive, players will have to keep their wits about them and use all their survival skills as they encounter avalanches, snowstorms, predators and even Logan’s own starvation. 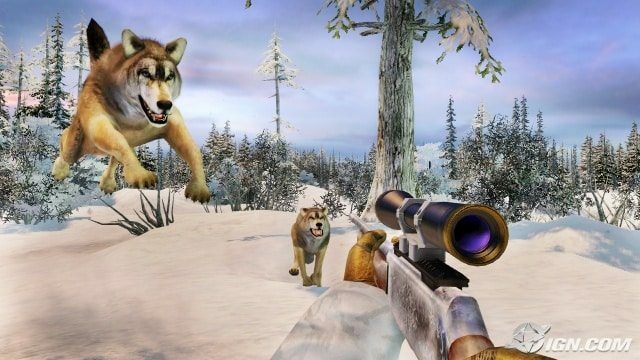 Cabela’s Survival: Shadows of Katmai will release for Xbox 360, PlayStation 3 and Wii on November 1st, and will be bundled with the Top Shot Elite peripheral.